Singapore is one of the countries that have been open about embracing Blockchain technology, and it has particularly been keen on taking advantage of what this particular technology has to offer. This is evident in the collaboration between the Monetary Authority of Singapore, the country’s central bank as well as a group of banks in the country and also some of Singapore’s major firms. The tie-up between these entities is aimed at leveraging blockchain to facilitate payments as well as securities clearing and settlement. By now most people know what blockchain technology is but for those who do not know, it is a digital ledger that has built-in trust and cannot be corrupted. It is designed to hold financial or economic records, and it is also the underlying technology that supports cryptocurrencies. Singapore has particularly been keen on using this technology beyond the scope of digital currencies. One of the country’s government agencies known as Enterprise Singapore which was developed as a backbone for the startup ecosystem announced support for a blockchain accelerator program dubbed Tribe Accelerator. The latter is an early-stage capital firm that is based in Singapore, but it has its operations target South East Asia. The Singapore government seems to have similar plans with Tribe Accelerator which involve fostering widespread blockchain adoption in Asia. Tribe Accelerator hopes to encourage startups to target real-world impact and applicability of blockchain-based solutions. It also offers a platform where government agencies can collaborate with blockchain startups on blockchain projects. So far there has been phenomenal growth in the country’s blockchain community, particularly due to the changing perspective of the financial community which was initially opposed to cryptocurrencies and blockchain in general. This is mainly because key financial players in the financial industry have been carrying out research on the technology and identified that blockchain could offer potentially huge improvements to the financial sector. For example, a company called LALA World has been working on a blockchain-based solution called LALA ID. The latter is designed to facilitate the safety of personal information as connectivity in the digital domain continues to grow. Such technology could be of great benefit especially in critical areas such as the banking sector. 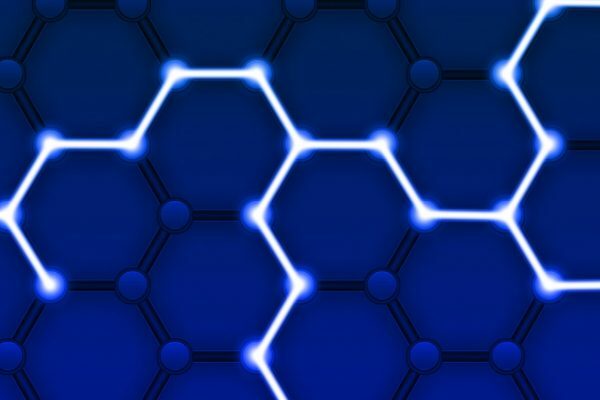 Blockchain technology could play a big role in facilitating transparency, efficacy, and accountability in various industries. For example, Singapore wants to use blockchain technology to lower settlement and clearing costs which get as high as $20 billion annually. This new age technology can deliver lower clearing and transaction fees. The Monetary Authority of Singapore (MAS) has already identified blockchain’s potential impact on the financial industry. It has therefore been proactively encouraging the adoption of blockchain technology in the financial and technology industry to facilitate better systems. MAS recently launched a project called Ubin which is a joint partnership between technology firms and banks. The Ubin project will work towards creating solutions for payments, settlement and securities clearing. MAS has also been fostering partnerships with central banks from neighboring countries to facilitate cross-border payments using digital ledger technology. The project will leverage blockchain technology so that they can reconcile invoices in trade finance. The technology will also be used to verify contract performance. Insurance companies in Singapore are also leveraging blockchain technology, particularly using smart contracts to achieve transparency in insurance. This technology might help to eliminate duplicate claims and fraud from the insurance sector. The country is also working towards building a more secure healthcare data system. This is because its currently existing system has suffered numerous data breaches where patient data has been compromised. Blockchain’s highly secure nature and ease of data management make it an attractive solution that can help the government of Singapore to build a highly efficient and more secure healthcare data system. Few countries all over the world have identified blockchain as a revolutionary technology that could spearhead the next stage of major technological advancements. Its promising nature has thus encouraged these countries to embrace it and also to adopt it rapidly. Singapore is one of those countries, and it is determined to become a blockchain hub and leader in South East Asia. This also aligns with the country’s development plan as one of the fastest growing Asian countries. Singapore aims to achieve interconnectivity through blockchain. For example, the Singapore Power Group (SPG) rolled a blockchain-based market that handles renewable energy certificates (RECs). The project will allow Singapore-based commercial entities to acquire RECs and this will encourage the production of renewable energies. The SPG platform will automatically match buyers with sellers. Singapore Power CEO Samuel Tan stated that blockchain technology would allow companies to efficiently, securely and seamlessly trade renewable energy certificates. This will help those companies to achieve their sustainability targets in their pursuit of going green. Blockchain as the technology itself is also expected to help stitch together other technologies in an efficient manner. A Singapore-based blockchain startup called Quadrant Protocol wants to make artificial intelligence more appealing and usable in Singapore. Mike Davie, the founder of Quadrant Protocol, stated that artificial intelligence relies heavily on the quality of data. Blockchain can maintain high data quality especially if fed with good quality data. And just as is the case with other blockchain projects, Quadrant Protocol is also in pursuit of a high level of efficiency which it believes will be provided by Blockchain. Singapore is strategically positioning itself to lead the blockchain movement in the Asian region. The country has an advantage of rival countries that are also adopting blockchain because its government has been highly supportive of blockchain endeavors. This means that Singapore is one of the most attractive countries for aspiring blockchain startups looking for an environment that will facilitate their projects. Additionally, the technology has been gaining traction globally, and Singapore has already placed itself to take advantage of that rapid growth.